Cardinal Dolan led the official opening and dedication for the 12-story St. Augustine Terrace, a 112-unit affordable housing building on the site of the former St. Augustine Church in the Bronx. As the cardinal blessed the building, others gathered April 8 included, from left, New York City first lady Chirlane McCray, City Council member Vanessa Gibson, three tenants of St. Augustine Terrace, and behind them, Msgr. Kevin Sullivan, executive director of archdiocesan Catholic Charities. The 12-story St. Augustine Terrace, a 112-unit affordable housing building on the site of the former St. Augustine Church in the Bronx. Rafael Ojeda sits inside his studio apartment. Cardinal Dolan presided over a joyful official opening of St. Augustine Terrace, an archdiocesan development in the Bronx that provides 112 units of affordable housing for low-income families. It is located on the site of the former St. Augustine Church, 571 E. 167th Street, at Fulton Avenue. “I’m very proud of the big part that the Archdiocese of New York has played in this magnificent new St. Augustine Terrace,” Cardinal Dolan said during the afternoon event April 8. The cardinal noted the significance of the private-public enterprise, thanking city and state agencies, and public officials who were present. Organizers said the 12-story building is fully occupied; the first tenants moved in nearly a year ago. The building is made up of units that are three-bedroom, two-bedroom and studios. About 130 people attended the official opening, including Chirlane McCray, New York City’s first lady. Catholic Charities, the lead agency in St. Augustine Terrace, announced a plan to develop other Church property as well as additional sites into affordable housing. It will create nearly 2,000 units over the next 10 years, doubling the 2,000 units of low-income and affordable housing developed under the umbrella of Catholic Homes New York in the past 40 years. One-third of the St. Augustine Terrace units are designated for adults with mental illness. They will be served by the Beacon of Hope Division of Catholic Charities Community Services. Cardinal Dolan blessed the building with holy water, and he and others rang a bell marking the official opening. The bell is a replica of the original St. Augustine church bell, which remains near the replica at the entrance of the apartment building. The cardinal also was joined by Msgr. Kevin Sullivan, director of archdiocesan Catholic Charities, and by board members of Catholic Charities and Catholic Homes New York, as well as by New York City and New York state officials. “What a great day this is. I am so moved,” Ms. McCray said, repeating some of her remarks in Spanish. 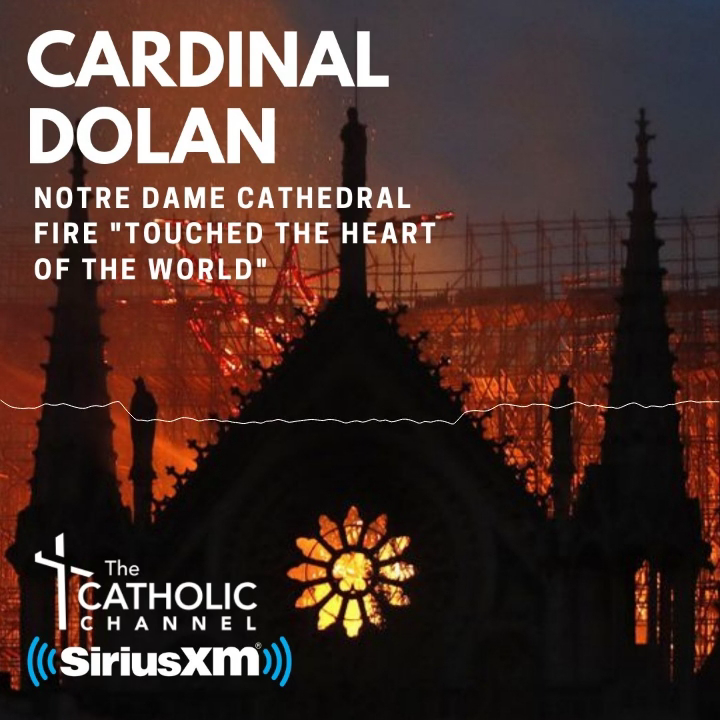 She thanked Cardinal Dolan, Msgr. Sullivan “and the Archdiocese of New York for setting such a powerful example of compassionate and community leadership. And thank you to all the elected officials here today supporting St. Augustine…For Bronx families who struggle to make ends meet, the Terrace means security; it provides the peace of mind that comes from knowing their children can grow up securely in the city that they love.” She also noted how important the apartment building is for mentally ill tenants. A brief video featured tenants expressing relief and gratitude about moving into St. Augustine Terrace. The tenants were James Jennings, representing one household, and Rebekah Miranda and her daughter Amber, representing another household. Jennings, in words of thanks, noted he has experienced homelessness. Ms. Miranda said, “Being chosen for this apartment was like a breath of fresh air.” After the video, the three were introduced; they were sitting up front near Cardinal Dolan. Father George Stewart, the pastor of St. Augustine-Our Lady of Victory parish on nearby Webster Avenue, gave the invocation. Speakers included New York City council member Vanessa Gibson, and top officials from the city Department of Housing Preservation and Development; the state Division of Housing and Community Renewal; and the Bureau of Housing Development and Support of the state Office of Mental Health. Locations for future Catholic Homes New York buildings include the Bronx, St. Vincent de Paul Senior Residence, 909 Beck St., Longwood; Second Farms, 1932 Bryant Ave., West Farms; St. Philip Neri, 3054, 3069 Villa Ave., Bedford Park; Christopher Court, 2890 Park Ave, Melrose; and Manhattan, Grand Street Guild, 157, 179 Broome St.